The historic mobster roundup that collared more than 120 people in the New York region last month provided a snapshot of the Mafia of today: murder, gambling and extortion; big bosses and small fries; “made guys” and associates. But what it didn’t show was the pervasive nepotism that still exists in organized crime — only one son with a father with alleged ties to a crime family was arrested that day. Even so, organized crime experts say the mob of the 21st century, just like the one in the 20th century, is still a magnet for the younger generation. There have been a fair share of mobsters whose sons have followed them into the business over the years — crime bosses John Gotti, Carmine Persico, Carlo Gambino and Joseph Bonanno among the more notorious ones. Some of their sons have died, some are in prison and some, like John Gotti Jr., have reportedly given up the life. There’s a perception that the sons of mobsters — and for that matter the younger generation — are normally not as savvy as the fathers, who grew up in a different era where they were far better equipped to spread their influence among judges and politicians. Many of the elders also cut their teeth out on the street, unlike some of the sons who have lived a far cushier life. 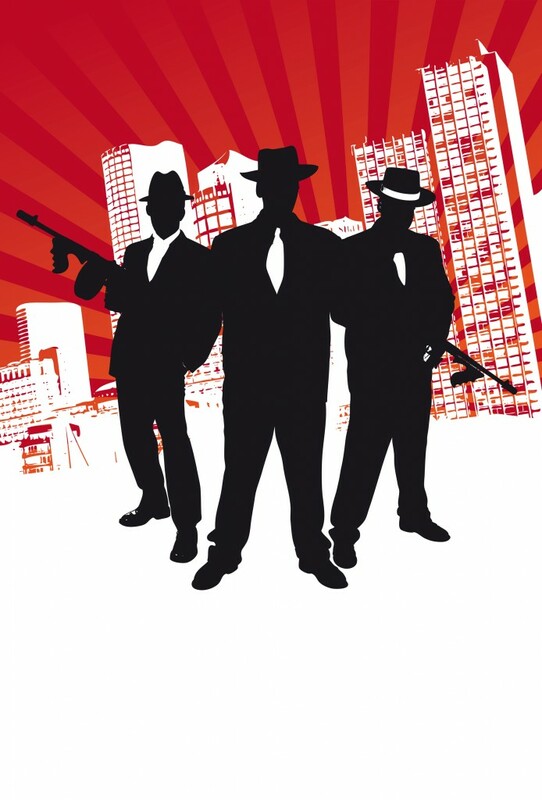 Experts also said in the old days the mobsters had to kill someone to be a “made guy.” Nowadays, they have to be a “good earner” to give money to the boss and be willing, if called upon, to do violence. Some may never have to commit murder. Then there’s the “omerta” — the code of silence — which has clearly been violated by some notable sons in some big ways, something that would have been unheard of in the old days. 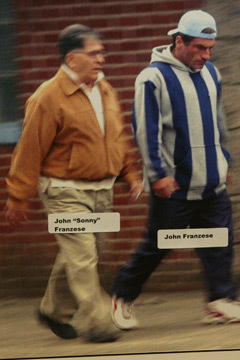 Last summer in U.S. District Court in Brooklyn, John Franzese Jr., a former mob associate, testified against his father, Colombo underboss John “Sonny” Franzese, 93, and even wore a wire to help build the FBI case. The son had fallen on hard times, got addicted to crack and eventually turned to the FBI as an informant. 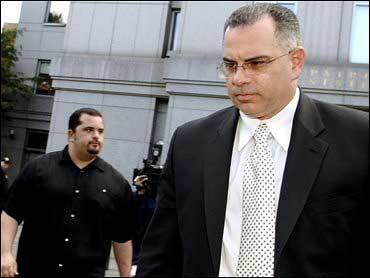 Another Franzese son who was on hand at the trial, Mike Franzese, a former capo in the Colombo crime family who became a Christian motivational speaker, did not approve of his brother’s testimony and thought he did it simply for the money. Last month, the one son arrested on Jan. 20, the day of the massive FBI mobster roundup, was Gregory Fucci Jr. — hardly a household name. His father, Gregory Fucci Sr., was arrested days later because he was having surgery on the day of the roundup, authorities said. Both were charged with embezzlement from an employee benefit plan. The FBI alleges that the father and son have ties to the Lucchese crime family in New York, something defense attorney Brian Todd Pakett told AOL News is totally unsubstantiated. He added that neither father nor son was among the 127 people named by authorities as part of the biggest mob roundup in FBI history. In a much higher-profile father-and-son case, mobster Craig DePalma, son of Greg DePalma, an underboss in the Gambino crime family, tried to hang himself in prison eights years ago after word got out that he was snitching before a grand jury. He survived the incident and ended up in a coma for the next eight years. He died in December at age 44. Jack Garcia, a former FBI agent who went undercover in the mob for three years and helped put away Greg DePalma, said that he would be with DePalma at a nursing home where the son was in a vegetative state. Garcia said he and others met DePalma at the nursing home to conduct meetings and watched DePalma care for his son. “It was really a good feeling seeing Greg hug his son, combing his hair,” Garcia said. What brings the sons and nephews into the game? Ex-mobster-turned government witness DiDonato, author of the new book “Surviving the Mob: A Street Soldier’s Life Inside the Gambino Crime Family,” can attest to the allure. He said his uncle was a captain in the Genovese family, a “gangster through and through.” His father was a “knockaround guy” who answered to his uncle. His uncle ended up getting murdered when DiDonato was just 12. And his father, who is still alive, did prison time for a truck hijacking. DiDonato ended the life around age 32 after figuring he was going to be killed by his own crime family. He says he knew too much about the murders of two of his friends that his boss had sanctioned. Plus, he was robbing drug dealers, which brought unwanted law enforcement attention to the organization. He was arrested in 1997 by the FBI and started cooperating. 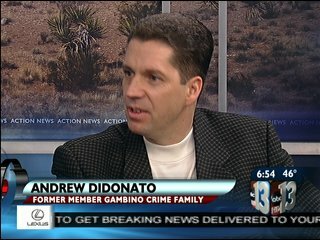 DiDonato went into the witness protection program for a time, and now he talks to youth about avoiding the bad life. But he still lives a life at an undisclosed location, cautious about his every move, making sure it’s not his last. “It’s part of the everyday life,” he said. Some of the sons of more notable mobsters often rose in the ranks far quicker than some felt was deserving. John Gotti Jr. was among those. Some mobsters tried to be discreet about their work when their children were younger — just like Tony Soprano’s children, “A.J.” and Meadow, who seemed to catch wind of dad’s line of work from news reports and friends. John Gotti Jr. recalled in an interview with “60 Minutes” first finding out about his father’s mob activity while he was a 14-year-old military school cadet in 1979. Some fathers insisted their sons stay out, mob experts said. Others like Gotti did not. Posted: 2/6/11 at 7:57 PM under FBI, Special Report.